It sounds like the stuff of science fiction dreams – or nightmares. Scientists believe they have found a way to read our minds, using a computer program that can decode brain activity in our brains and put it into words. They say it could offer a lifeline to those whose speech has been affected by stroke or degenerative disease, but many will be concerned about the implications of a technique that can eavesdrop on thoughts and reproduce them. 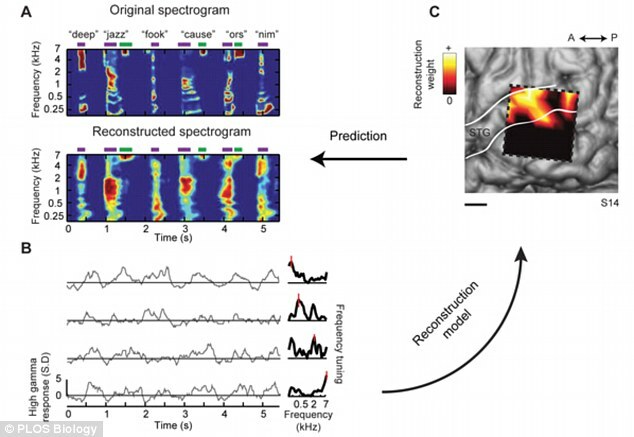 Neuroscientists at the University of California Berkeley put electrodes inside the skulls of brain surgery patients to monitor information from their temporal lobe, which is involved in the processing of speech and images. 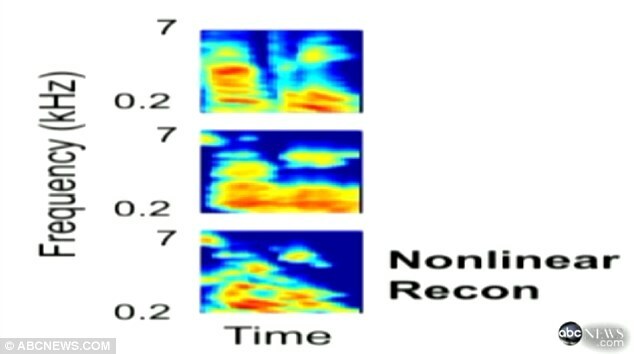 As the patient listened to someone speaking, a computer program analysed how the brain processed and reproduced the words they had heard. The scientists believe the technique could also be used to read and report what they were thinking of saying next. 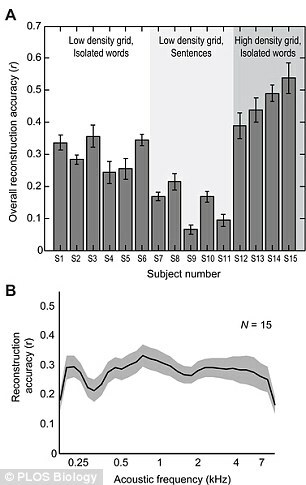 In the journal PLoS Biology, they write that it takes attempts at mind reading to ‘a whole new level’. Robert Knight, professor of psychology and neuroscience, added: ‘This is huge for patients who have damage to their speech mechanisms because of a stroke or Lou Gehrig’s [motor neurone] disease and can’t speak. 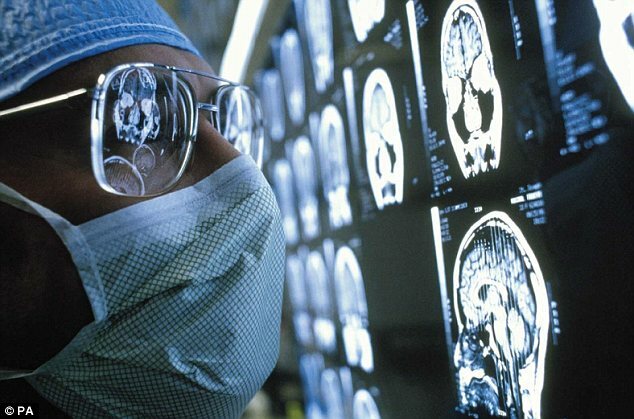 The researchers tested 15 people who were already undergoing brain surgery to treat epilepsy or brain tumours. 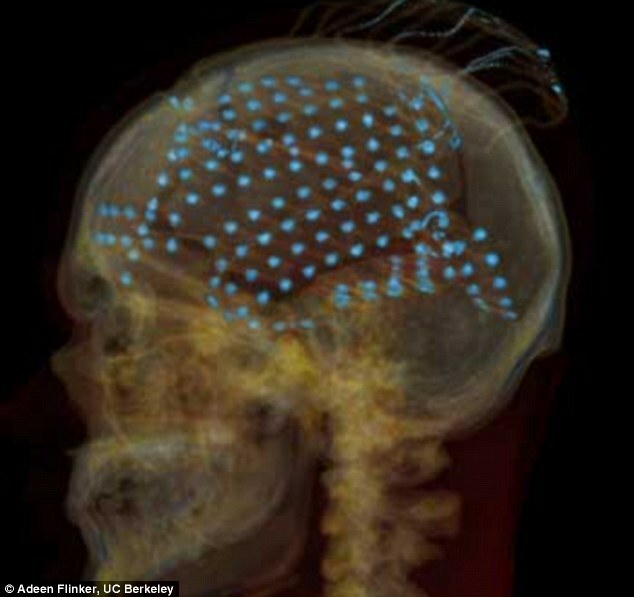 They agreed to have up to 256 electrodes put on to the brain surface, as they listened to men and women saying individual words including nouns, verbs and names. 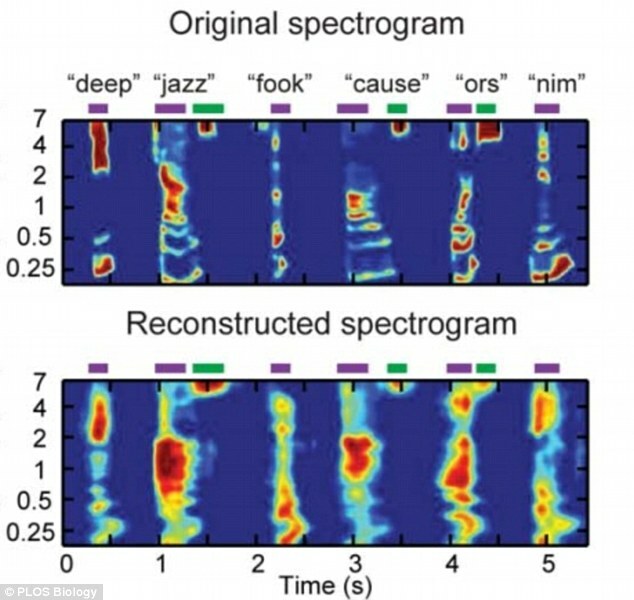 A computer programme analysed the activity from the electrodes, and reproduced the word they had heard or something very similar to it at the first attempt. Co-author Brian Pasley said there is already mounting evidence that ‘perception and imagery may be pretty similar in the brain’. 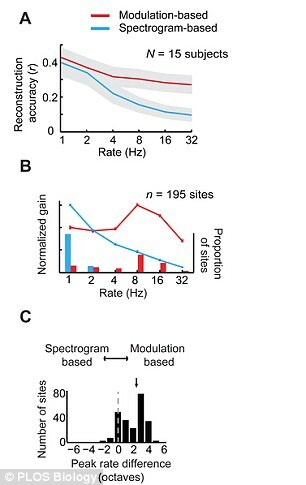 Their study also shows in sharp relief how the auditory system breaks down sound into its individual frequencies – a range of around 1 to 8,000 Hertz for human speech. Pasley told ABC News: ‘This study mainly focused on lower-level acoustic characteristics of speech. But I think there’s a lot more happening in these brain areas than acoustic analysis’. 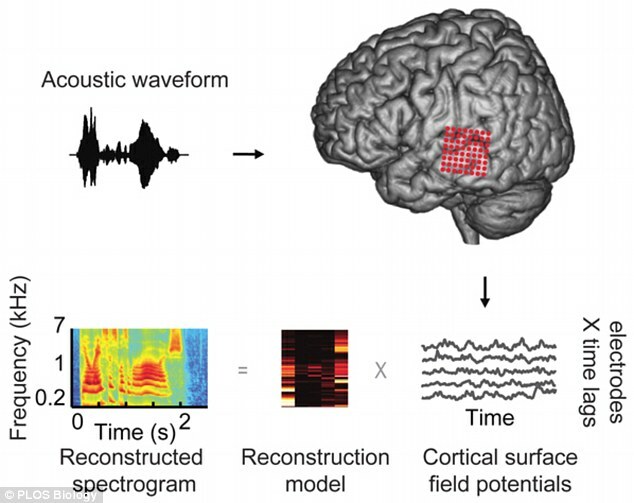 This information does not change inside the brain but can be accurately mapped and the original sound decoded by a computer. British expert Professor Jan Schnupp, from Oxford University who was not involved in the study said it was ‘quite remarkable’. ‘Neuroscientists have of course long believed that the brain essentially works by translating aspects of the external world, such as spoken words, into patterns of electrical activity’, he said. He played down fears it could lead to range of ‘mind reading’ devices as the technique can only, at the moment, be done on patients willing to have surgery. Non-invasive brain scans are not powerful enough to read this level of information so it will remain limited to ‘small numbers of willing patients’.